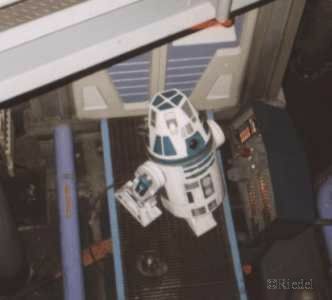 An R4 droid seen from above. 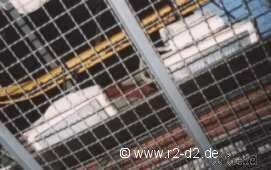 The same as above, but in widescreen ! 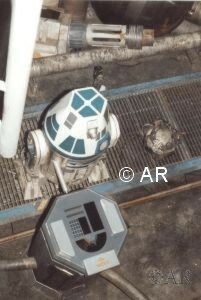 R2´s footprints at Universal Studios Florida. 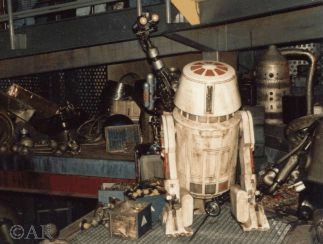 Check the wheels arrangement ! 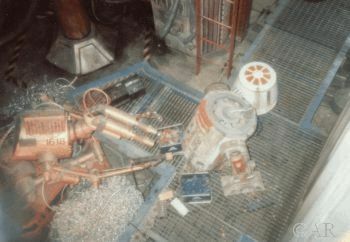 Repairs on an R5-series droid. 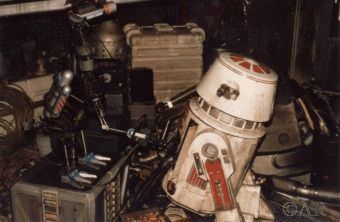 Watch the IG-88 head in the background ! 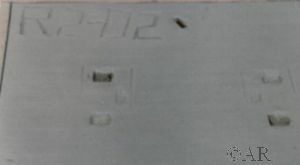 Another view of the same place some months later. 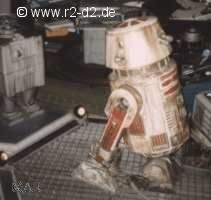 R5´s head has been removed ! 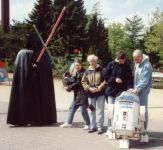 For 1999´s Episode 1 celebrations, there was an (almost) full-size R2-D2 right behind the park entrance, together with an impressive Darth Vader, both completely made of Lego ! 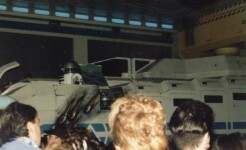 Both figures had very neat, proximity-activated sound effects. 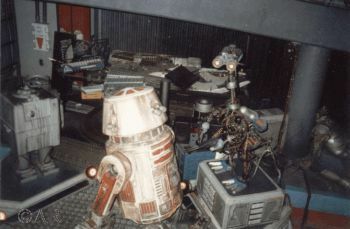 Our R2 did the original R2 beeping, and the Vader had his very awe-inspiring breathing.